Nine members of staff at Hope House Children’s Hospice have been presented with long service awards by the charity. Chair of Trustees Steve Henly thanked them for their dedication and said their commitment was greatly appreciated. “Their work as a team enables Hope House to provide vital care and support and counselling to hundreds of families across Shropshire, Powys and North Wales that are caring for a terminally ill child or who have been bereaved,” he added. Twenty Year Service Awards were presented to: Karen Murray, Nurse; Louise Bowen, Fundraising Team Administrator; and Fiona Pryce, Health Care Support Worker. 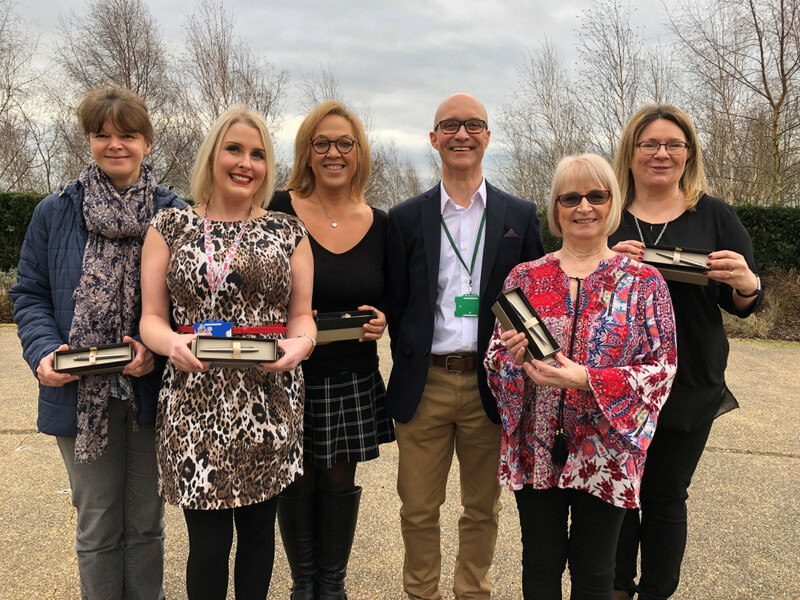 Ten Year Service Awards were presented to: Simi Epstein, Director of Fundraising and Marketing; Yvonne Stocks, Counsellor; Carole Clayton, Shrewsbury Shop Manager; Beverley Lambert, Wrexham Shop Manager; Alison Marsh, Head of Fundraising; and Lyn Jones, Support Services Assistant.